I've been a bit of a bad blogger these past few days, but you can't really blame me because I've just been having so much fun in the south! 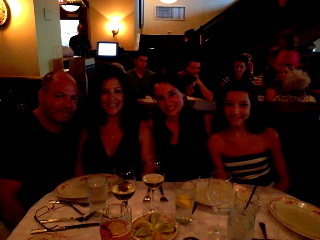 This is my fourth day in Florida and I am having a fantastic time with my family. Here are a few pictures to catch you up on all my adventures! I was able to see the sun rise on my morning flight to Florida. Another pretty view . . .
As we were driving home from dinner on my first night in Florida we saw these funky shaped clouds while the sun was setting. If you squint one of your eyes and use your imagination these odd shaped masses of water look like dolphins that are flying in the air!!! Meet my lovely cousin, Caprice! She is a beautiful little lady, full of energy with a big personality. And now, Miss Caprice is an official TEENAGER! 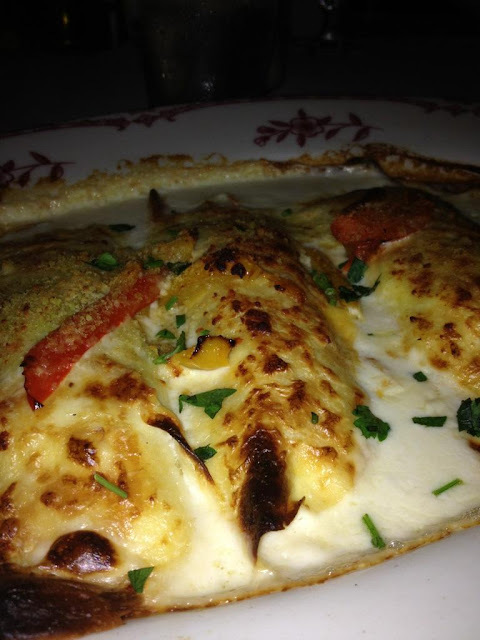 Crab and Shrimp Cannelloni with Roasted peppers, Asiago cheese sauce and seasoned breadcrumbs. Yummy desserts! (Creme brulee, apple crisp a la mode, cheesecake, and tiramisu. 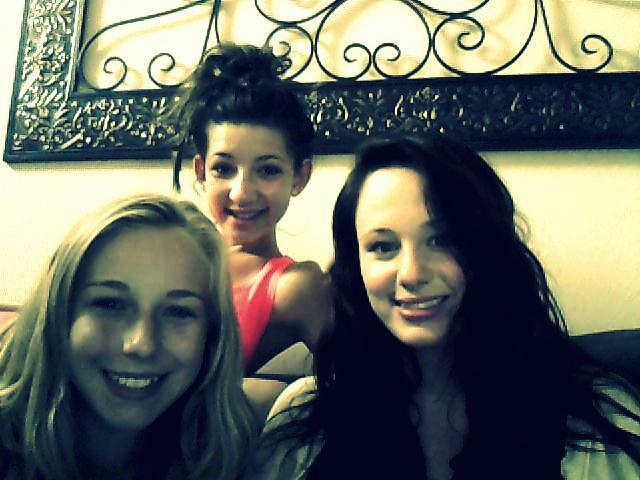 Hanging out and having a lazy Sunday with the lovely Miss Caprice and Miss McKenna! Until next time, folks! Hope you've enjoyed!